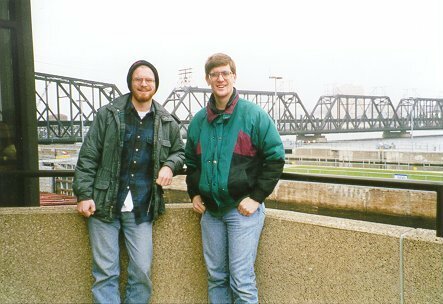 Scott and I took a day trip to Iowa on Saturday, November 22, 1997. We left at about 8 a.m. from dormland in Platteville. 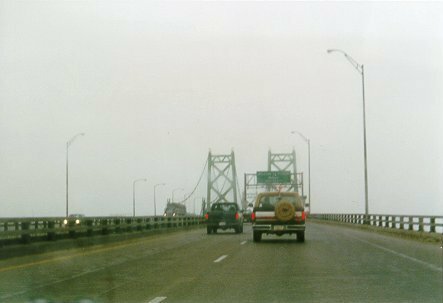 First we went to the Quad Cities, where all of the pictures were taken at. We went around the loop, and then visited the military base on Rock Island. We stopped at a national cemetary, it was pretty neat. Then we visited Lock and Dam No. 15, which had a cool visitors center, not to mention a good looking park ranger attending to it. Her name was Wenda. :) We watched a barge go thru, then we drove around downtown. Then we ate at McDonalds, I had a McRib meal deal. We then drove to Iowa City via I-80, and we stopped at the University of Iowa. I went to a national math contest there after my senior year of high school, so it was neat to see the place again. Then we went to Cedar Rapids, and downtown we goofed around and went elevator jumping in the Four Seasons Hotel. Then we drove to Waterloo, then took US 20 to Dubuque and then back to Platteville. We got back around 7 p.m. 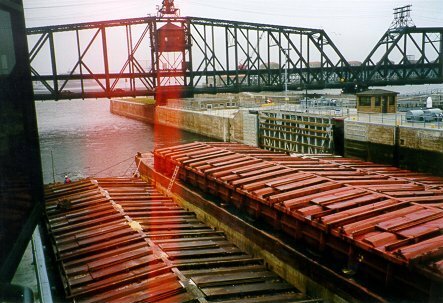 This is I-74 crossing the Mississippi River, and a barge going thru the lock. 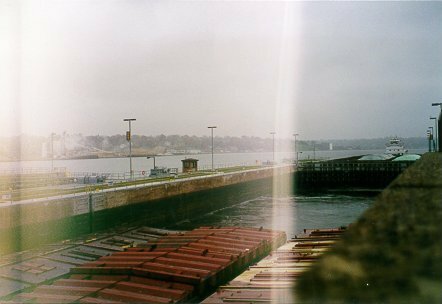 Scott and I at the Lock, and the barge going thru, again.